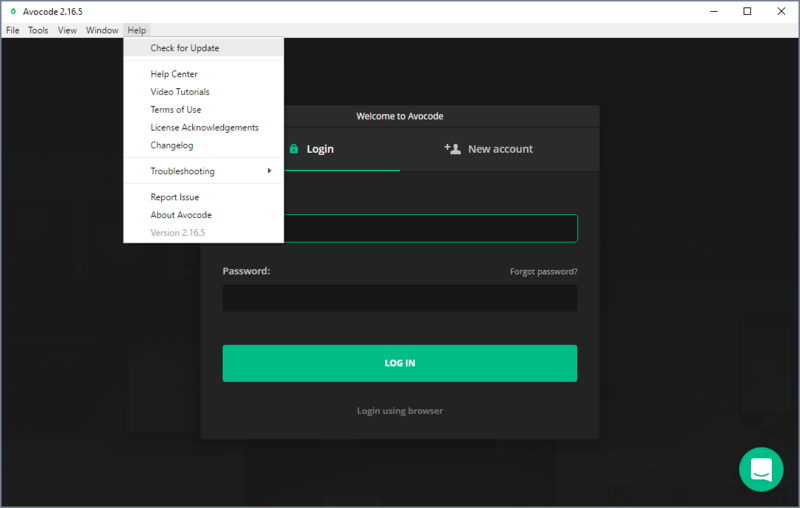 How to install an update of Avocode desktop app? Software: macOS 10.11 and higher, Windows 7 and higher, Linux - most popular distributions like Ubuntu, Mint, Fedora or Arch. Hardware: Graphic card with support for WebGL (Macs/PCs made after 2012); min 4GB memory (RAM). How do I know there is an update? 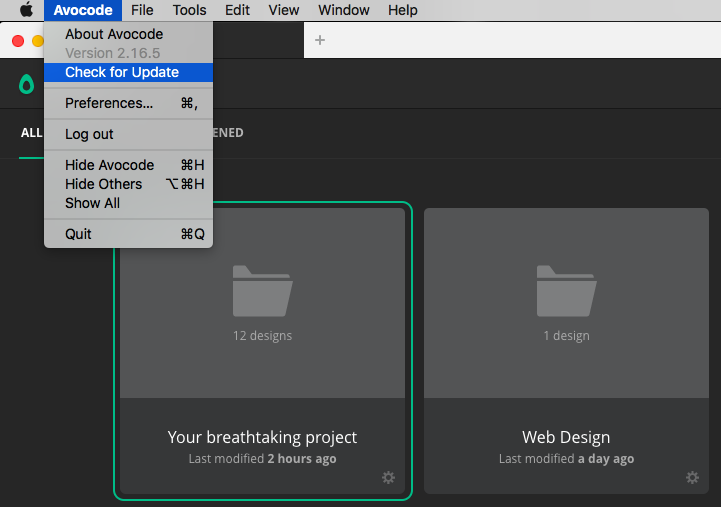 Whenever there is a new update Avocode desktop app, you'll get a quick in-app notification that you can install a new update. If you click on it, your app will be turned off and the update will be installed. 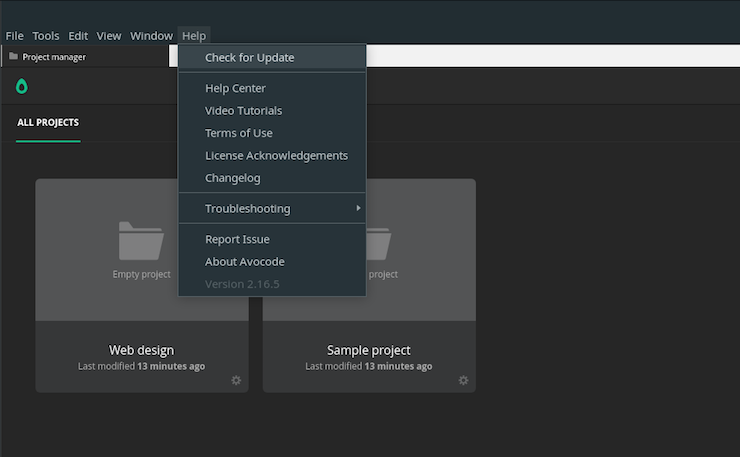 We also post about what's new in the changelog. Do I get automatic updates? Automatic updates are automatically installed on the second launch since the update. That means if there is an update and you turn the app of and on again, the update will be installed.